The film starts at 7:15pm sharp. Film is 83 minutes long. Be on time. A portion of the proceeds go the support the Delancey Street Foundation’s admirable mission, and the other portion will go to support Tom Kennedy’s memorial service on May 1st. About the film: Dust & Illusions looks at 30 years of history of Burning Man all the way back to the late 1970s deep into the origins of the event. Through 21 interviewees the film presents the philosophies that fueled the creation of the festival, and its evolution from a small gathering of friends to the largest “counter-cultural” event in North America. It offers a new perspective of the meaning of the event, and questions whether its organizers are more concerned about making sure the show is ready when the gate opens or they still truly engage in building a community and fostering art (Check their budget outline). 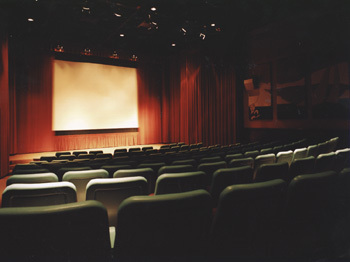 About Delancey Street: The Delancey Screening Room in San Francisco is a training program of the Delancey Street Foundation. The residents built this screening room as part of the building of our new home on the Embarcadero. Delancey Street Foundation is the country’s leading residential self-help organization for those who have hit bottom. Started in 1971 Delancey Street has served many thousands of residents, in 5 locations throughout the United States. The minimum stay at Delancey Street is 2 years while the average resident remains for almost 4 years. During their time at Delancey Street, residents receive a high school equivalency degree (GED) and are trained in 3 different marketable skills. Beyond academic and vocational training, residents learn important values, and the social and interpersonal skills that allow them to live successfully in the mainstream of society.